The Tactical Concealment Water Repellent Polyester Jacket by UnderTech UnderCover is extremely comfortable, practical and attractive. If you are in doubt as to what size to order, order the larger size. Remember, holstered gun that you do not want to 'print' because the jacket is too tight. 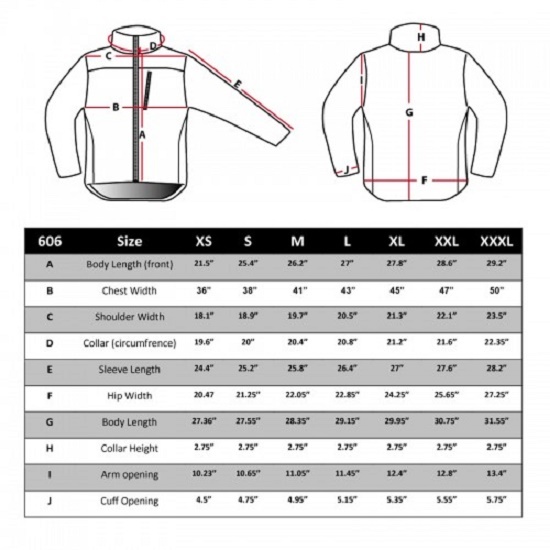 Per the Glockstore: Jackets are somewhat tight around the waist when zipped, if you have a larger belly you may want to consider the next size up. The concealed gun holster pockets are built into the jacket and have a Velro lining that accepts the Velcro holster and magazine accessories. One universal handgun holster is included with the concealed carry jacket. The holster pockets are extremely large and can hold a full-size 1911 or Glock 21. The best feature is that the Velcro holster enables you to position and support the concealed gun so that the weight is evenly distributed. Based on the size of the concealed handgun you can place the universal holster where it is easy and fast to access. No gun 'printing', no jacket sagging, and no clunking when you set your concealed carry jacket down. The Tactical Concealment Water Repellent Polyester Jacket is made of 100% polyester, 4-way stretch, high density fabric that is breathable as well as water repellant. Now available for Right Hand and Left Hand shooters.